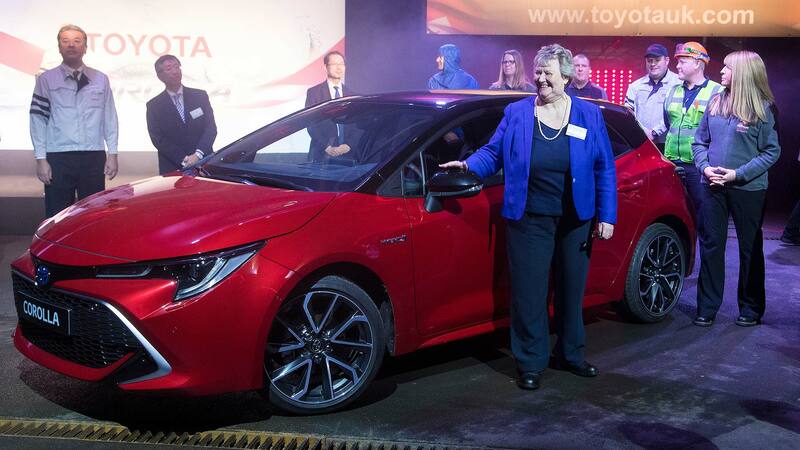 Toyota has started production of the all-new Corolla hatchback and Touring Sports estate at its factory in Burnaston, Derbyshire. The latest commitment to Britain’s automotive sector takes Toyota’s total investment in Britain to more than £2.75 billion since 1992.
Business secretary Greg Clark MP joined Japanese Ambassador to the UK Koji Tsuruoka at a ceremony, alongside Toyota Motor Europe president and CEO Dr Johan van Zyl. Toyota Motor Corporation chief engineer and executive vice president Hiroki Nakajima also flew over from Japan for the start of production event. 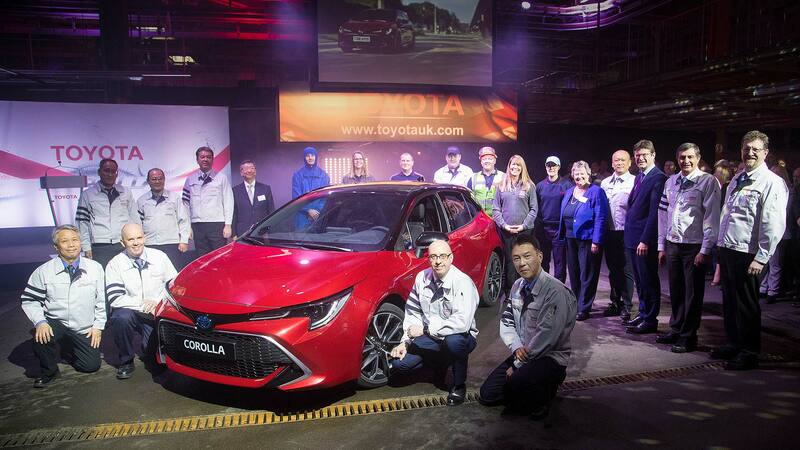 The Derbyshire factory will be the only plant in Europe building the eagerly anticipated new Corolla range, which will take on rivals such as the Volkswagen Golf and Ford Focus (not to mention the similarly British-built Honda Civic and Vauxhall Astra). 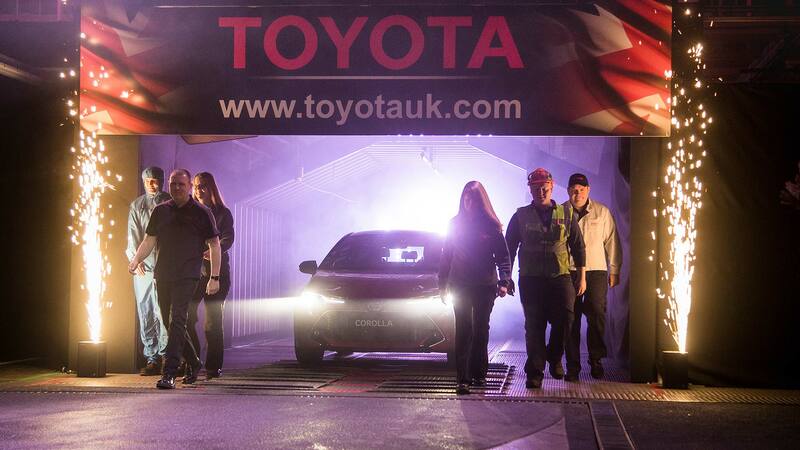 The 2019 Toyota Corolla will be launched in the spring with prices starting from £21,300. “This is a proud day for everyone at TMUK,” said UK managing director Marvin Cooke. 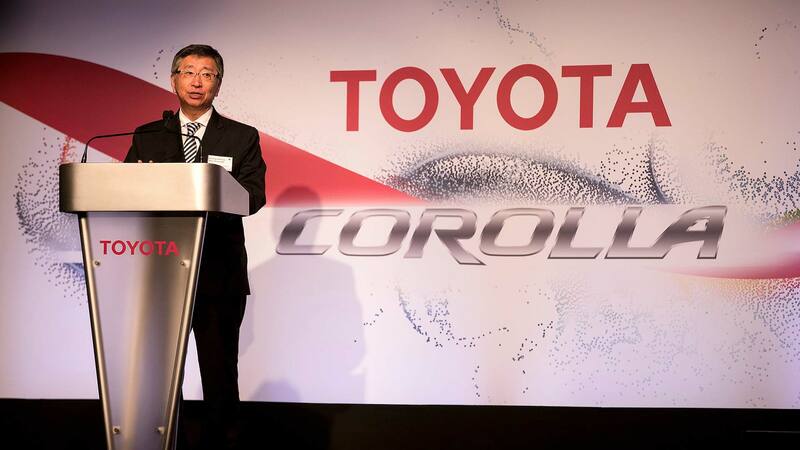 “Making the new TNGA Corolla is a major milestone in our production history. Dr van Zyl said the decision to invest in the UK was taken in 2017 – after the UK voted to leave the European Union. “The highly qualified workforce at TMUK has a fine record of delivering superior quality products. The new Corolla, adds Toyota, will be its first car in Europe to offer not just one, but two hybrid powertrains – a 1.8-litre and a more powerful 2.0-litre. The 1.8-litre will be the volume seller, which is doubly good news for Britain, as it’s also built here, at Toyota Deeside in North Wales.